"Use this mixture in recipes that call for pumpkin pie spice. A blend of cinnamon, nutmeg, ginger and allspice that can be scaled to any size." 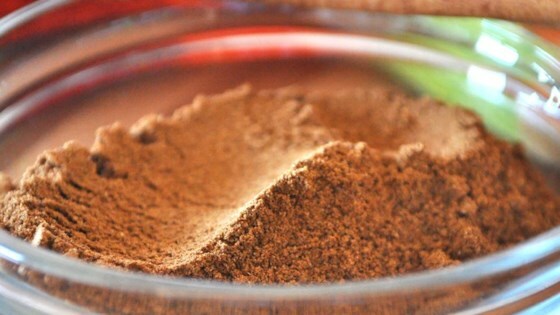 Combine cinnamon, nutmeg, ginger, and allspice together in a bowl. Store in air-tight container. See how to make a spice mixture for pumpkin pie, muffins, breads, and more. What a great idea! The only drawback is it lacks cloves, so I added them. Excellent! I love these homemade spice mixes. So, so good! I use this one in many, many things. This morning I used it in my homemade Raisin Oatmeal Mix from this site.